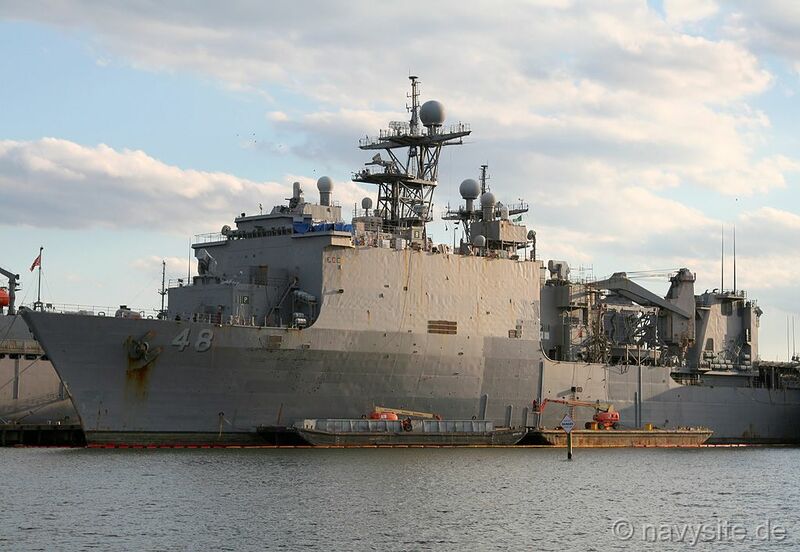 USS ASHLAND is the eighth WHIDBEY ISLAND class amphibious transport dock and the fifth ship in that class built by Avondale in New Orleans, La. 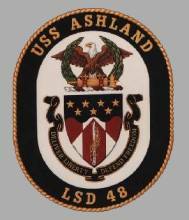 USS ASHLAND is the second ship in the Navy to bear the name. This section contains the names of sailors who served aboard USS ASHLAND. It is no official listing but contains the names of sailors who submitted their information. 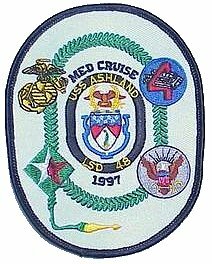 Click here to see which USS ASHLAND memorabilia are currently for sale on ebay. LSD-48's keel was laid on 04 April 1989 at New Orleans, Louisiana by Avondale Industries Incorporated. Launching and christening took place on 11 November 1989 with Mrs. Kathleen Foley, wife of ADM S. R. Foley, Jr. (Ret. ), as ship's sponsor. 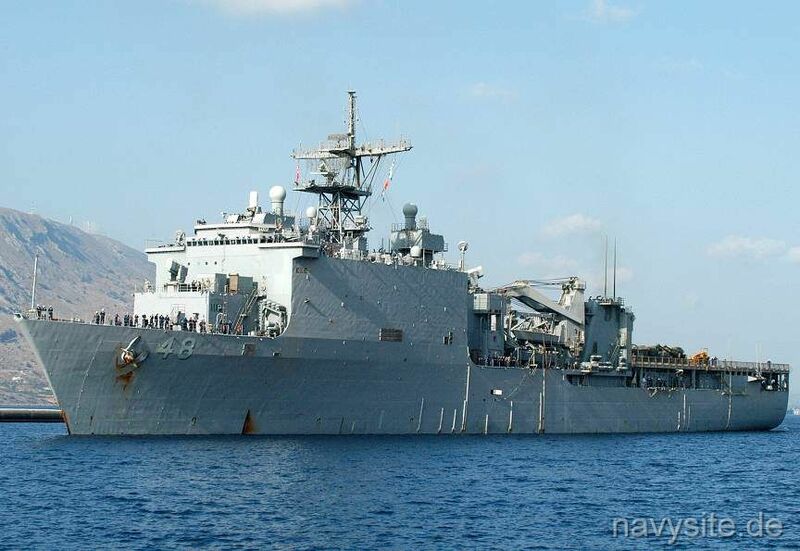 USS ASHLAND was commissioned on 09 May 1992 at New Orleans, Louisiana. Since her commissioning, ASHLAND has distinguished herself in a variety of missions and operations. 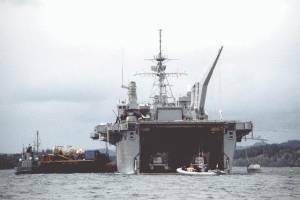 During her maiden overseas deployment to the Mediterranean from August 1993 to February 1994, she participated in a number of significant operations including Operation DENY FLIGHT off Bosnia, and Operations RESTORE HOPE and PROVIDE PROMISE off the coast of Somalia. 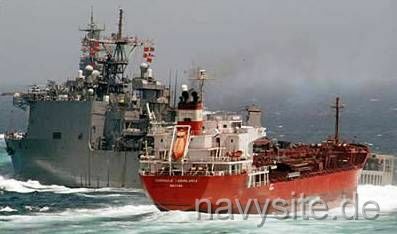 The ship also made an historic port visit to Constanta, Romania in the Black Sea. 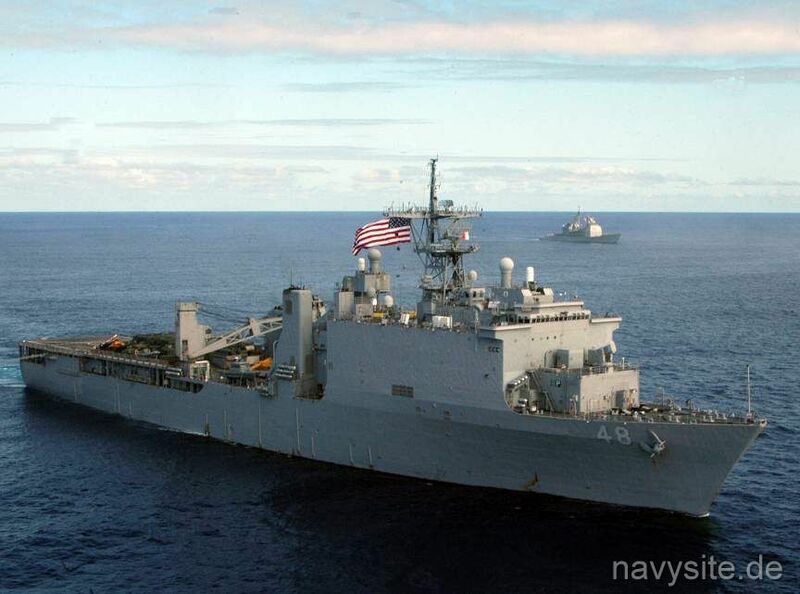 In September 1994, the ship received short notice orders to sail in support of Operation ABLE VIGIL, the Cuban Migration Interdiction effort, during which she rescued or received from other units over 5,100 Cuban migrants and transferred them to processing centers at Guantanamo Bay, Cuba. This was immediately followed by operations in both the Cap Haitian and Port Au Prince theaters during Operation UPHOLD DEMOCRACY, the military intervention in Haiti. 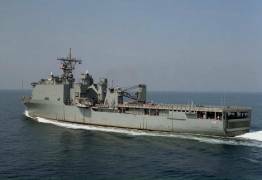 After her return from these operations in October 1994, ASHLAND became the first amphibious ship to embark females as permanent members of the crew. 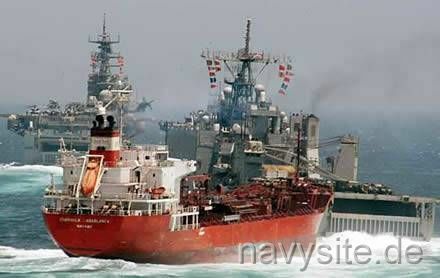 In December 1995, the ship returned from an extensive six month deployment to South America and West Africa as part of Unitas 36-95 and West African Training Cruise or WATC'95. During this period, ASHLAND visited over 20 cities and operated with the navies and marines of 12 South American and African nations. During this deployment, the ship transited the historic Chilean intercoastal Waterway, the Straits of Magellan, and rounded Cape Horn. 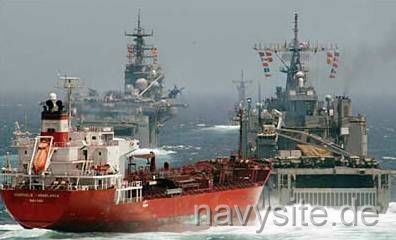 In May 1996, ASHLAND became the test platform for the Ship's Self Defense System (SSDS). SSDS integrates sensor and weapon systems to provide an automated, quick response, multi-target engagement capability against closing targets. 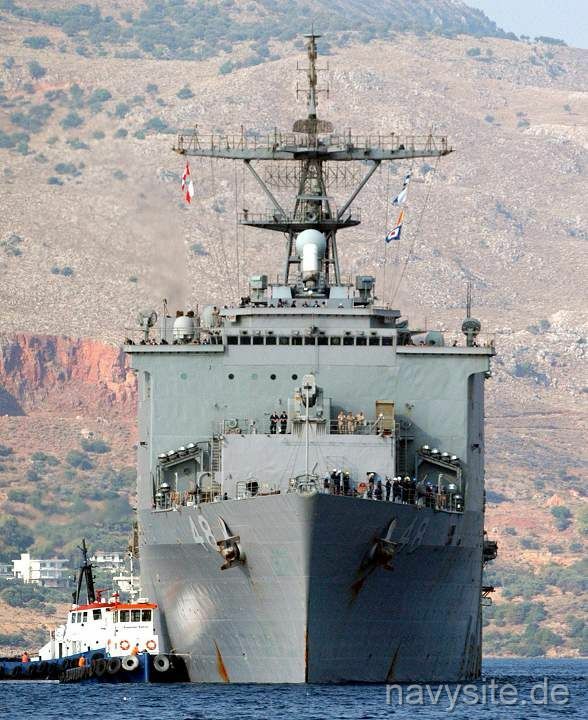 SSDS utilizes both the Close-In Weapon System (CIWS) and the Rolling Airframe missile (RAM) system, which is a multi-target engagement, "fire-and forget" missile system used to intercept hostile and anti-ship missiles. 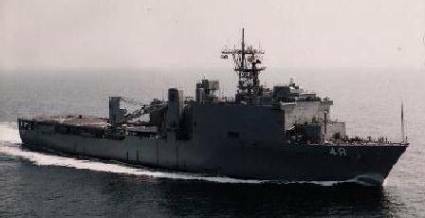 From October 1997 to April 1998, ASHLAND completed her third deployment, operating in the Mediterranean Sea and Arabian Gulf. 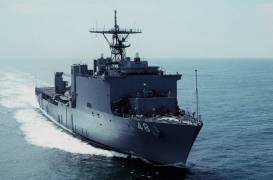 During this deployment, the ship participated in numerous exercises and operations including Operations DESERT THUNDER and SOUTHERN WATCH during a period of heightened tension in Southwest Asia. ASHLAND proudly displays the Navy and Coast Guard Unit Commendations, the Battle Efficiency Ribbon, two Humanitarian Service Medals, Southwest Asia Service Medal, three Armed Forces Expeditionary Medals, and three Sea Service Deployment Ribbons. Thanks to LCDR Bob Adamcik for the information. He was the navigator aboard the BATAAN at the time of the incident. 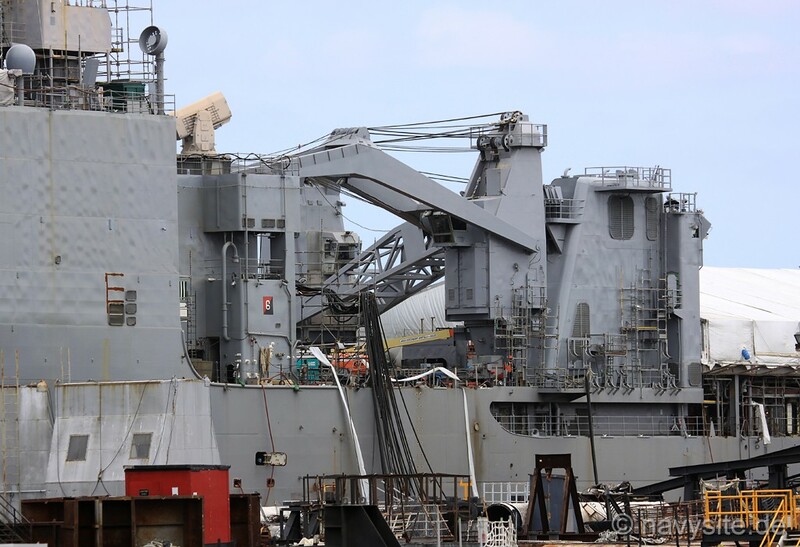 The photo below was taken by me and shows the USS ASHLAND at the Earl Industries shipyard in Portsmouth, Va., undergoing her three-month Planned Maintenance Availability (PMA) on November 9, 2008. 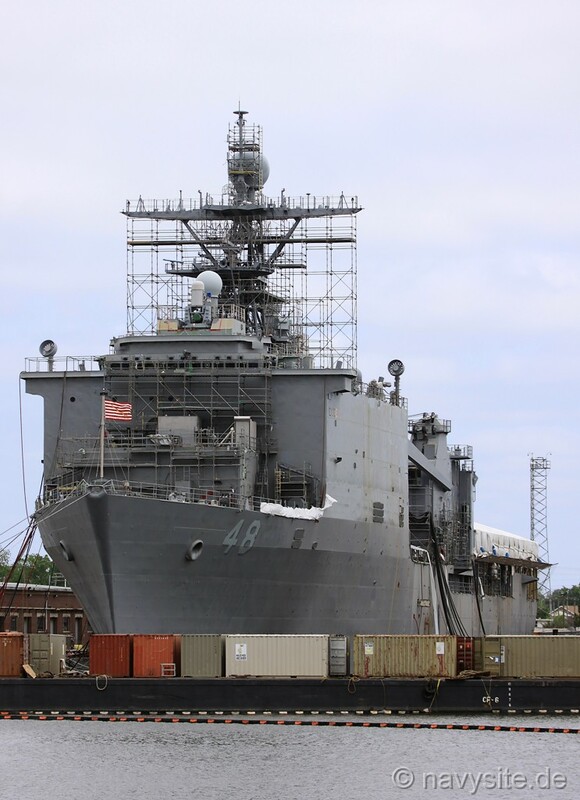 The photos below were taken by me and show the USS ASHLAND dry-docked at the Metro Machine Shipyard in Norfolk, Va., for her mid-life extension overhaul. Work included normal repair and refurbishment, as well as major alterations to several ship systems including improvements to the ship�s diesel engines, onboard networks, engineering control systems, and power management, and improved capacity for air conditioning and chilled water distribution. The biggest long-term change, however, was the replacement of high-maintenance steam systems with all-electric functionality. 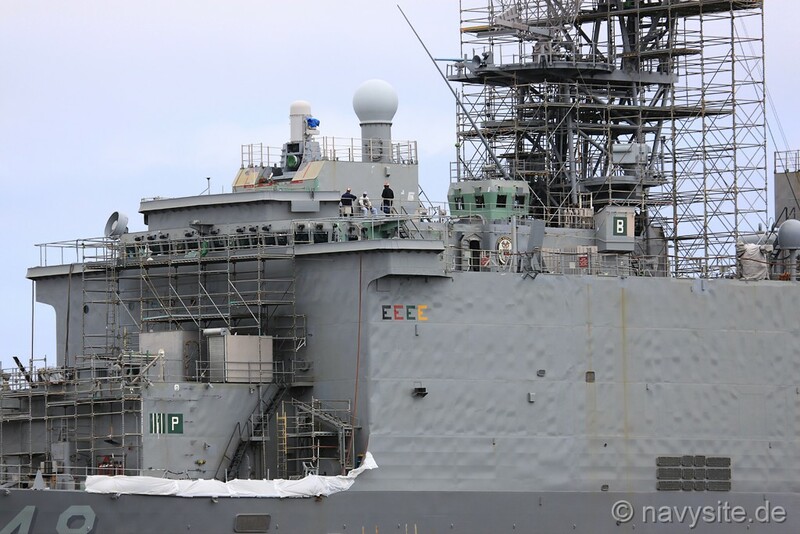 ASHLAND entered the shipyard on February 9, 2011.